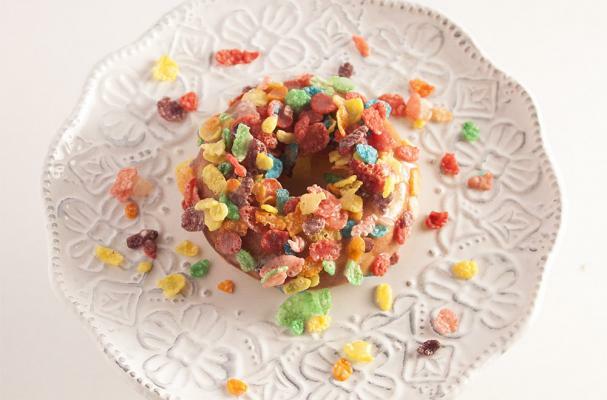 The Fruity Pebbles doughnut from The Sassy Life is an extra sweet breakfast. Baked vanilla doughnuts are glazed and then dipped in the sugary cereal. You can also make this recipe with cocoa pebbles. These crunchy cereal doughnuts are a fun treat to wake up to. For full recipe instructions, click here.